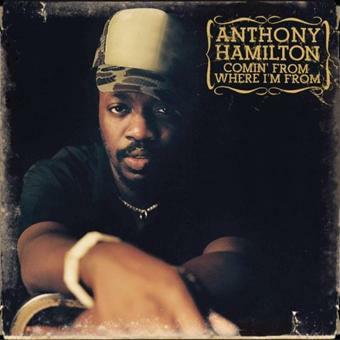 Anthony Hamilton’s career is comprised of plenty record label woes, but what stands out the most is his undeniable catalog of really, really great music. Someone on Twitter said that he is the human equivalent of grits. And damnit if I don't love grits. 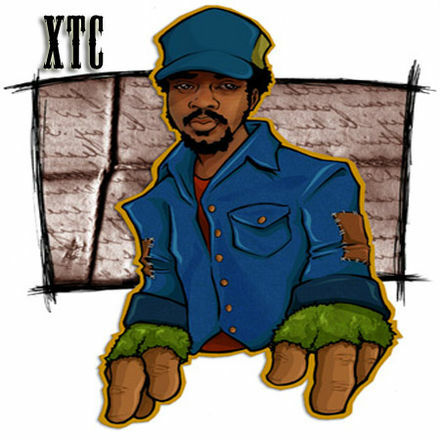 The jokes regarding his deep, soulful sound run rampant, but in all seriousness, he has a hell of a discography. Let's take a look at it! -Hamilton’s debut album didn’t quite make it on the charts and eventually it was taken out of print. Although it did not make much noise, the single "Nobody Else" found a place on the Hot R&B/Hip-Hop chart. Either way, the album is actually better than numbers suggest. Production provided mostly by Golden Fingers offered a pleasing backdrop for Hamilton, including a couple really dope samples. -After a hiatus, Hamilton teamed up with Jermaine Dupri and So So Def/Arista records and created what would become the most pivotal album of his career. Not only did Comin’ From Where I’m From get on the charts, it stayed at the top of them for hundreds of weeks and became certified platinum in December 2004. The album features "Charlene", probably Hamilton’s most well-known song. Comin’ From Where I’m From exudes southern soul and down home, unadulterated emotion. Speaking for myself, this is one of my favorite albums in existence. Not only did Hamilton bear his soul, every single track is immaculate. While most people are familiar with the scorned anthems "Charlene" and "I’m A Mess", the album is very well rounded- including guitar heavy, almost soft rock style, "Chyna Black" and the beautifully funky "Cornbread, Fish & Collard Greens" as well as a perfect love song featuring LaToiya Williams called "My First Love". Comin’ From Where I’m From put Anthony Hamilton on an entirely new level, industry wise and is an album that will forever be held in the highest regards. -This album is interesting, to say the least. Not only is it Hamilton’s first compilation album, it contains all previously recorded and unreleased music. 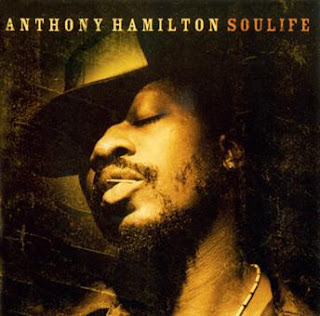 The title “Soulife” actually pays homage to the indie label Hamilton signed to with intentions of releasing the project. Unfortunately, Soulife Records went bankrupt before that could happen. Despite the tracks being recorded years earlier, Soulife did very well and became Hamilton’s highest charting album; both debut and peak. While this album in its entirety does not get as much attention as Comin’ From I’m From does these days, there are some really amazing tracks. "Ball and Chain" and "Love and War" are my favorite, I still listen to them on a very regular basis. The latter features Macy Gray and you may remember it from the film Baby Boy. All in all, Soulife was a very successful follow up to Comin’ From Where I’m From. -Only a few months after Soulife’s chart topping debut, Hamilton released his third studio album, once again teaming up with So So Def and this time, Jive Records. By 2006, Ain’t Nobody Worryin’ became certified gold. This album finds groovy yet soulful 70’s style production (thanks to Raphael Saadiq, James Poysner, Dre & Vidal and more) that complements Hamilton’s unpolished soulful singing perfectly. 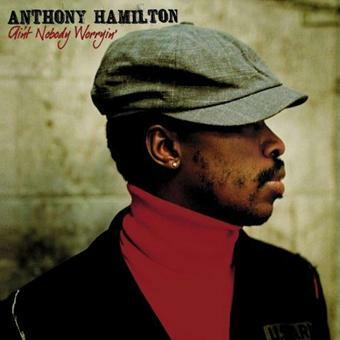 Ain’t Nobody Worryin’ is also Hamilton’s most well rounded work featuring soul shattering heartbreak, social commentary, relentless love and a bigger focus on spirituality. To this day, "Change Your World" is one of the most powerful love songs I have ever heard. While album sales may not reflect it, Ain’t Nobody Worryin’ is one of Hamilton’s most well put together projects and has plenty of timeless material. 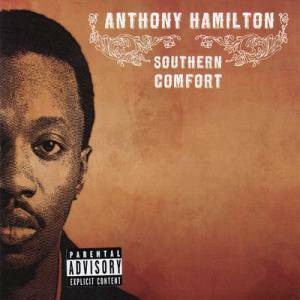 -Southern Comfort is Hamilton’s second compilation album. The songs were recorded from 2000-2002 before we were introduced to Coming From Where I’m From and Charlene. I believe the best part about Hamilton’s compilation albums is the insight it gives into him as an artist, before his career with So So Def. Although some of the content of Southern Comfort feels bubblegum-y, the lyrical content and singing are immaculate. Released independently, the album did pretty well on the charts as well. "Fallin’ In Love Again" and "Better Love" are still in heavy rotation for me. 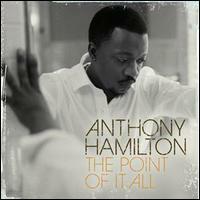 -Hamilton’s fourth studio album, again with Arista records, The Point of it All boasts his highest week one sales ever. Three years after the release of Comin’ From Where I’m From, The Point of it All offers a lighter, more “mainstream” sound. A sound that listeners seemingly loved, as of 2010, the album is certified gold. The word modern is often used to describe this album and although fitting at times, Hamilton still stays true to his classic southern style. Everything that made listeners love Hamilton is present on this album with the addition of completely new facets; namely, the album’s single "Cool" featuring David Banner. That song is and forever will be pure perfection, a gritty, down home, country ode to the simplicity of love. In addition, Hamilton showcased singing talents that were previously unheard from him, hitting high registers that the baritone god hadn’t before. The title track is simple yet powerful while tracks like "Her Heart" were seen as “lulls” in the album but in reality, it is one of the most moving tracks in his discography. I would venture to say that The Point of it All is Hamilton’s most creative project with plenty of stylistic switch ups we hadn’t heard previously. -After his longest hiatus between albums since his debut, Hamilton released Back to Love in 2011; his fifth studio album featuring the Grammy nominated single "Pray for Me" as well as "Woo"-which to this day makes me want to two step in my hallway. Once again, the quality of lyricism on this album is something to speak of. No matter how many love, pain, spiritual or “conscious” songs Hamilton writes (or co-writes), each seems to have a new and refreshing effect. What MUST be mentioned about Back to Love is the ridiculously dope producers that were involved, including Babyface, Salaam Remi and James Poyser. Back to Love is almost quirky. It steps out of Hamilton’s “normal” sound a bit yet as a whole, stays true to the sound he has become so well known for. All in all, Anthony Hamilton is one of the greatest singer/songwriters we have had the pleasure of experiencing as listeners. He found a lane consisting of music that delves into every emotion we experience as humans and southernized it perfectly before pouring delicious gravy all over it. Not to mention, he incorporated his intense spirituality without missing a step or losing a fan. 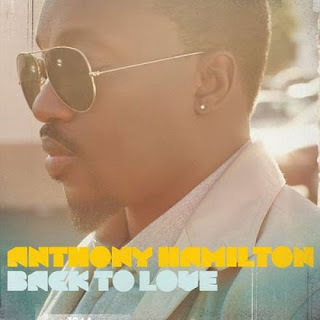 Anthony Hamilton is genuine. Raw, gritty talent pours from him regardless of if you are listening to his first or last album or watching him put on a live performance (which I have to say is nothing short of amazing, go check him out if he comes to your city).